Flutters about and generates orange glowing clouds. Drops off of Kael'thas Sunstrider in the 5-man instance Magister's Terrace (in both heroic and non-heroic modes). For strategies to defeat Kael'thas click here. Just a quick note, do not leave these little guys unattended in any way shape or form while you're in chapels or churches. Mine ate a month's supply of incense while my back was turned and I STILL get dirty looks whenever I go into Light's Hope Chapel! Don't look so smug. I know what you're thinking. But taking the Ashes of A'lar was merely a setback. Did you honestly believe I would have only one Phoenix at my disposal? Hahahaha... Oh no, no, no, A'lar was only an instrument, a stepping stone to a much better Phoenix. It has all led to this... and this time, you shall not interfere! Can be great against Blingtron on Celestial Tournament. I learned about this pet a long time ago, before my character was high enough level to go after it, and then I completely forgot it existed. I immediately rushed off to try my luck today on Heroic and was lucky enough to get it on my first try. I've had a lot of good luck lately so I'm worried it's going to come back to bite me sometime soon. Just to clear up the latest comment (user: Kendrah), the pet drops in both Normal and Heroic Magister's Terrace from Kael'thas. I like to use immolate and immolation then swap pets. I love pets with dots and this one is particularly my favorite because it is also our guild pet. With the latest patch the "Immolate + Conflagrate" combo doesn't do as much damage. Still a very nice looking pet but not as strong as it used to be. I'm not sure if they upped the drop rate. My wife & I breezed through in about 5 minutes per run. 2 pets in 4 runs, though no mount. 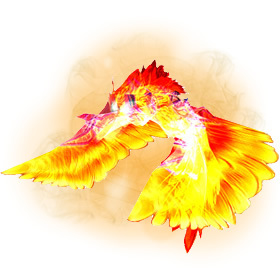 What doesn't make sense is why a phoenix does not have a rebirth ability? It just seems it would fit. I've noticed that it doesn't ignore weather effects like it should as an elemental. At least with the -Scorched Earth- effect. Update.. Yes mine WAS recieving damage from weather effects :T thank you, I can read the pet battle combat log just fine. I contacted a GM and they told me it was indeed a bug that I had stumbled acrossed, it has now been fixed and my hatchling ignores weather as it should. Had been running this instance for the Reputation achieves when I got this. Last 3 runs in here, I saw 2 Hatchlings and 2 Hawkstriders. Back in Wrath (I'm a Wrath baby), I went with a Paladin friend one two different occasions on my hunter. On the 2nd time ever being there, not only did I get this pet, but I got the mount as well in the same run. Awesome looking pet and very nice combination of cauterize and immolation. Speed breed isn't optimal but still useful. This pet's popularity level is over 9000. Just got mine for 500G on the auction house. I was so psyched though it felt like robbery. After 22 runs between two characters I finally have this pet to add to my collection. I've been doing it once per day on heroic to avoid burnout and have a chance for the mount as well (which is still being stubborn). At 90 you can avoid all trash minus the trash in the room with Selin, since he pulls them when aggro'd. If you skip the pack immediately before Kael'thas he won't go through his whole RP scene about Tempest Keep - saves you a few seconds of time.